Depending on where you are in the world, the weather is either warm with the summer sun or a cold winter with a windchill of -30℉. Either way, Japan's Hokkaido makes a great escape for those who are looking for a beautiful winter wonderland. Being covered in a blanket of snow most during the winter, Hokkaido is a great place for those looking for ski and snowboard resorts in Japan. Skiing along with Sapporo's Snow Festival are two are the most popular things to do in Hokkaido during the winter. What are other recommended spots to go to in Hokkaido during the winter? 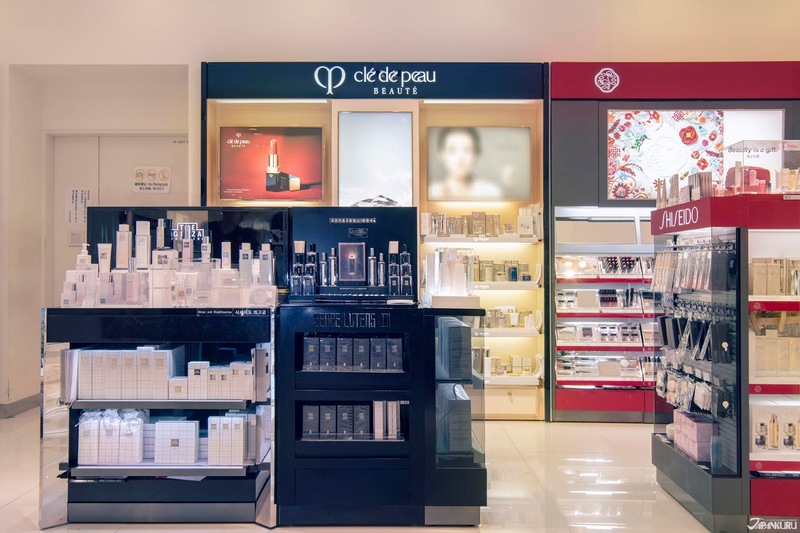 Below includes a short list of some of our favorite places as well as introducing a new collection from Shiseido's high-end brand THE GINZA that allows one to protect their skin while being around such harsh weather conditions. Located in the heart of Hokkaido is a place known for its range of beautiful colors of lavender, poppies, and so on during the spring and summer. 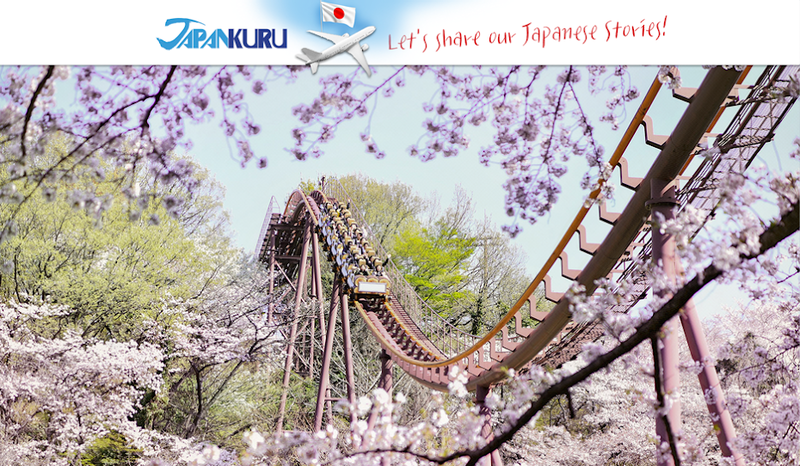 In the winter, it is a snow country that offers some of Japan's most famous ski resorts. It makes sense that it would be such a popular skiing and snowboarding spot due to it hosting the FIS Downhill World Cup 10 times and regularly hosts National and International ski and snowboard events including the 2005 and 2006 Snowboard World Cup. Even if you aren't into skiing and snowboarding, this is still a place to enjoy its beauty. The symbol of Otaru, if not Hokkaido, is the Otaru Canal and it is normally a MUST visit tourist spot in Hokkaido. Completed in the year 1923, when Japan had Westernized, the canal was built to support shipping boats increasing in Hokkaido. Along the canal are beautiful old buildings true to Otaru's red brick history that is most beautiful at night when the gas lamps are light. The Otaru Music Box Museum is a store offering hundreds of beautiful music boxes. There are six branches in Otaru, but the one right by the Otaru Canal is the biggest in Japan. This wooden three-story building was originally built as a warehouse in the Meiji era and became a music box hall in 1912. Once you open the doors the dimly lit building shines with all the music coming from their music boxes. Just walking around the store is looking at all the different designed music boxes is fun, but you are very likely to find a piece of Otaru to bring home with you like we did! At Bei Hot Springs area there is a beautiful waterfall called Shirahige Waterfall, meaning "white beard waterfall". The waterfall that emerges from the cracks in the rock looks like a white beard, hence the name. Because the water that runs down comes from the local hot spring, it will not freeze despite being in the middle of winter. The surrounding elements, the snow, water, and rocks, create a unique color of blue for the river which is breathtaking. Go further downstream from Shirahige and you will run into Blue Pond (青い池). Blue Pond is a man-made pond that is surrounded by trees at about 500m (1640ft) above sea level. Originally made to protect the town of Biei from volcanic mudflows, it gets its stunning blue color from the Biei River itself. After water from the surrounding waterfalls and hot springs containing aluminum in Biei River mixed in with the hot springs containing sulfur from Iou River (硫黄川), there would be a blueish reflection once the light hit it. Thus giving its name the "Blue River". During the winter when snow and ice cover the lake, lights are shined along the area so even during the winter you get a lovely view. 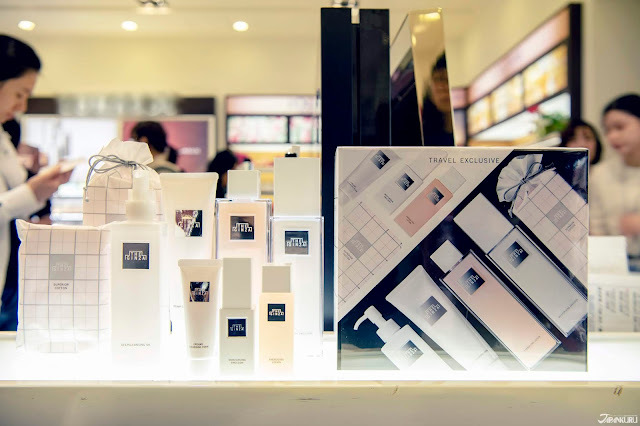 High-quality Japanese skincare brand THE GINZA, which is known to fit any skin type has selected a number of their products to use as a set creating "THE GINZA ORIGINAL COLLECTION" which went on sale for the first time at the end of 2018. Inside the set contains products from makeup remover to moisturizers, also included are limited travel size bottles. Available at airports and duty-free shops, we took the chance to check it out while at the Hokkaido airport while waiting on our flight. This is high-quality mineral cleansing oil gently removes not just makeup but impurities in the air leaving your skin feeling beautiful and smooth. Push the pump twice on a dry palm and apply it for 1-2 minutes making a spiral motion, then rinse thoroughly with lukewarm water. Getting rid of dirt and grime is very important but if you only look at washing power, the skin will become more irritated resulting in it becoming rough or dry often. 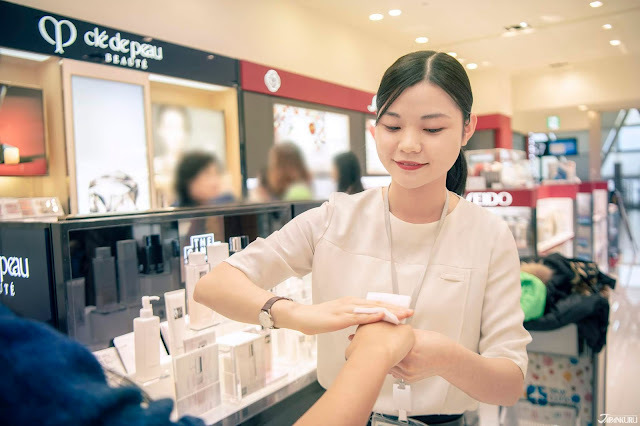 This face wash has a distinctive foaming characteristic, that cleans the dirt and other harmful things lurking in the skin without harming the skin with its moisture-rich bubbles and gentle bubbles. Moisturizing is one of the most important steps in skincare. This high function lotion that moisturizes permeates instantaneously into the outermost layers of the skin giving you the energized woken up sensation. Apply plenty of product to a cotton pad and spread evenly across the face, leaving the skin feeling moisturized. Another moisturizer, this high-performance milky lotion keeps the skin from drying out as well as adjusting the oil moisture balance essential to healthy skin. After applying the lotion, add a generous amount of the EMULSION to a cotton pad and gently wipe against your skin. This pale pink soft cosmetic cotton is specially made using carefully selected natural cotton and is used to apply liquid skincare products like the Energizing Lotion. Of course, you can use your hands to apply the products, but using the cotton allows a more even, hygienic application. 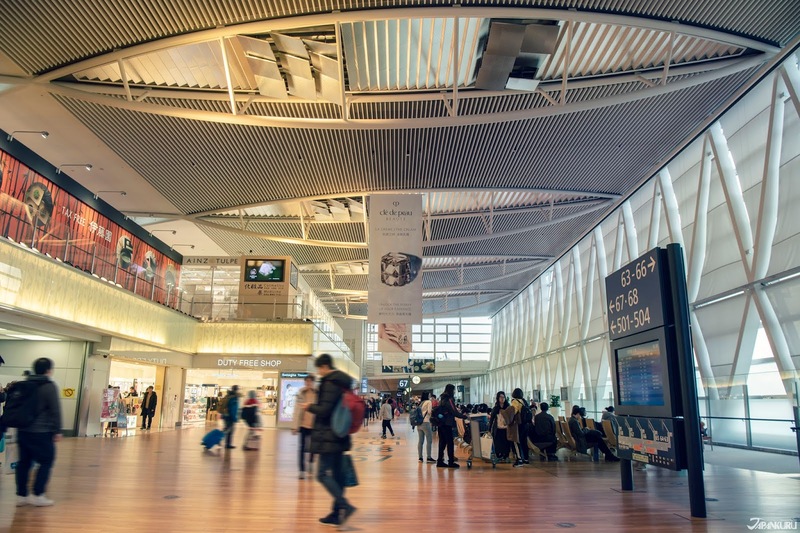 In addition to the above combination of goods, there is also a selection of travel groups in THE GINZA ORIGINAL COLLECTION. These special travel sizes allow you to use THE GINZA to maintain your skin while you are away from home. As mentioned earlier, the "THE GINZA ORIGINAL COLLECTION" can only be purchased at a Japanese airport and a few special duty-free department stores. 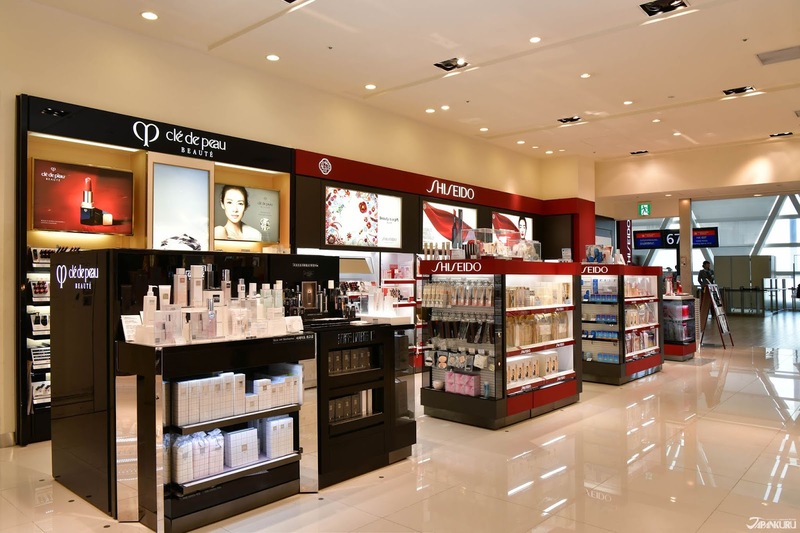 The SHISEIDO store in the international terminal of the New Chitose Airport in Hokkaido is one of those places that sells the collection set, and their specially informed staff were able to give us all sorts of useful information and introduced other tax-free limited items. 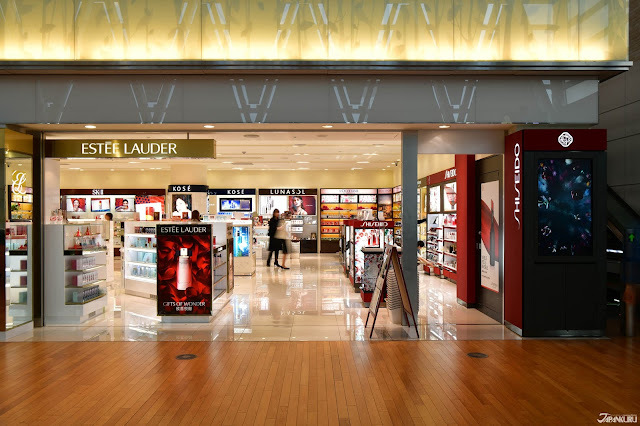 You really get a lot for what you pay for, so if you are one who likes shopping duty-free at airports you won't want to miss this opportunity.